Hutton Broadcasting LLC has added streaming radio feeds from their entire company radio station portfolio onto the company’s destination website SantaFe.com. The company, which now has six radio stations on the airwaves and a total of eight radio stations streaming online, is located at 2502 Camino Entrada, Suite C, Santa Fe, NM. Hutton Broadcasting, streaming eight radio stations at the same time online to the world at large, has six full time over-the-airwaves radio stations broadcasting in the greater Santa Fe, New Mexico listener market. Hutton Broadcasting, which is now streaming eight radio stations at the same time online to the world at large, has six full time over-the-airwaves radio stations broadcasting in the greater Santa Fe, New Mexico listener market. The 2010 US Census Bureau reported that the City of Santa Fe had a population of 67,947 and Santa Fe County had a population of 144,170. 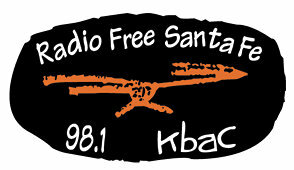 With those population figures and the popularity of Santa Fe in mind, adding broadcasting the company’s radio stations online to their SantaFe.com website and to the world at large made good business sense to Hutton Broadcasting. for timely local news and information. Over-the-air and now streaming on-line on SantaFe.com. BLU 102 pledges to protect the artistic and cultural environment of the City Different. Our goal is to provide musical content and information reflecting the changing scene of Santa Fe’s most creative residents. Over-the-air and now streaming on-line on SantaFe.com. Project 101.5 is committed to serving the active outdoor opportunities in Santa Fe and Northern New Mexico including the people, gear and activities that make our world wonderful. We pledge to protect a sustainable environment while offering music and information that is an integral part of this active lifestyle. Over-the-air and now streaming on-line on SantaFe.com. Outlaw Country’s mission is to enhance all aspects of the western lifestyle in Santa Fe and Northern New Mexico. From rodeo to ranches, to hunting and fishing, Outlaw Country wants to protect our open spaces of Northern New Mexico. Over-the-air and now streaming on-line on SantaFe.com. 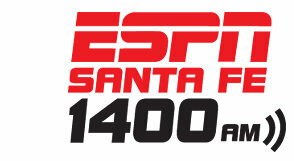 ESPN is dedicated to the sports lifestyle in Santa Fe and northern New Mexico. We are committed to bringing the community the best sports coverage and sporting activities on a local and national level including professional, collegiate and high school sports. Over-the-air and now streaming on-line on SantaFe.com. KTRC Talk 1260 is northern New Mexico’s progressive talk station consisting primarily of news, talk, comedy, interviews, guest editorials and listeners‘calls. The station features highlights, discussion and information programs with hosts reflecting progressive points of view. Over-the-air and now streaming on-line on SantaFe.com. Twenty-four hours a day, our web-streaming station spins a unique blend of electronic favorites to sooth your frayed nerves. Now streaming on-line on SantaFe.com. New Mexico is a state overflowing with awesome musical talent in every genre! 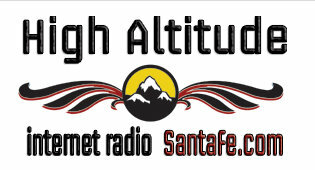 Our new streaming web channel High Altitude features only local homegrown talent, both past and present. It's your passport to all the best music in our state. Now streaming on-line on SantaFe.com. SantaFe.com provides Santa Fe and visitors to Santa Fe alike the most current interactive platform for events, music, arts, business, dining and lifestyle. SantaFe.com is a division of Hutton Broadcasting Hutton Broadcasting LLC has added streaming radio feeds from their entire company radio station portfolio onto the company’s destination website SantaFe.com Hutton Broadcasting, which is now streaming eight radio stations at the same time online to the world at large, has six full time over-the-airwaves radio stations broadcasting in the greater Santa Fe, New Mexico listener market. The 2010 US Census Bureau reported that the City of Santa Fe had a population of 67,947 and Santa Fe County had a population of 144,170. The company, which currently has six radio stations on the airwaves and a total of eight radio stations streaming online, is located at 2502 Camino Entrada, Suite C, Santa Fe, NM.